There is nothing like fresh bread. 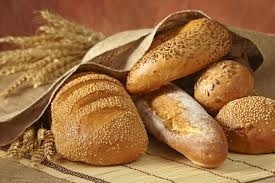 There is a wonderful Jewish bakery in Southfield, MI where you can smell the bread every morning. The Eastern culture uses bread as an essential part of the meal. Many times the people would have a huge pot of something healthy and they would eat it together with friends and family. Imagine sitting around the table with a large pot of vegetables and rice and then this wonderful fresh bread just coming out of the oven. No need for utensils here, the bread is the star of the show! Family and friends literally break bread and dip in that same pot together. It is a festive occasion and it really matters who is at the table. People didn’t eat with their enemies and you definitely didn’t eat with people who were not of the same mind and same judgement. One of the seven “I AM” statements Jesus said in the Gospel of John was that he was “the bread of life” (John 6:35). The best way to know and fully understand the Messiah is by His own words. Dear friends, Jesus wanted us to know that as essential as bread is in a meal (remember the bible is an Eastern culture book) that he is/should be that important to our lives. 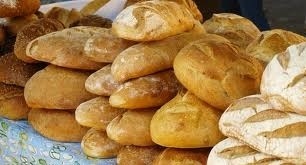 Some cultures would not even try to eat a meal without bread. Sadly, millions are living without Jesus. There is a goodness, a peace, knowledge, truth and restoration that comes with knowing Jesus. We who believe must not bottle him up for ourselves. He was meant to be shared. Share the good news of Jesus Christ. His Gospel has changed my life. Has he changed yours yet? Yes he has brother! Sharing my Bread today! Thanks and keep the “I Am” ‘s coming.